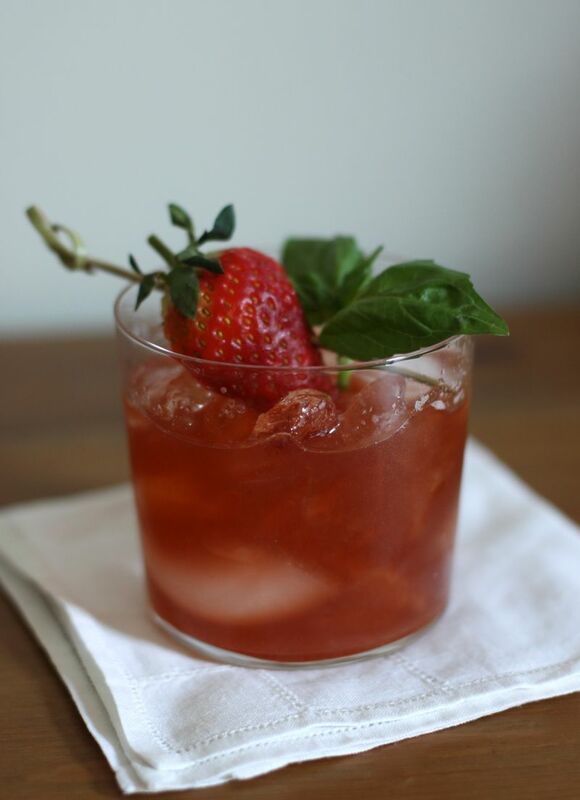 In a cocktail shaker, muddle the strawberries, basil, sugar syrup, lemon juice, and balsamic vinegar. Add the bourbon and ice cubes. Shake, strain into an ice-filled rocks glass. Garnish with a strawberry (cut large strawberries in half) and a basil sprig. Place equal parts Sugar in the Raw and water in a small saucepan; bringjust to a boil. Stir, to dissolve sugar. Remove from heat and cool before using.